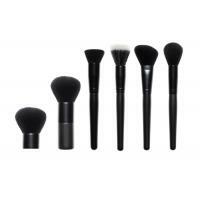 Our private label makeup brushes are of the highest quality to ensure the perfect makeup application. 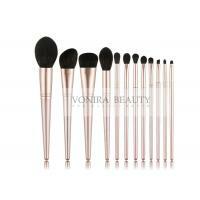 Whether you are applying face, cheek or eye makeup, our makeup brushes will give a precise and polished application. We can send you some our company brush quality samples for your references and testing choices! You are also welcomed to send us the brushes samples you liked and choosing from different popular brand and send to us,we can duplicate for you with your logo name under your color design! 1. 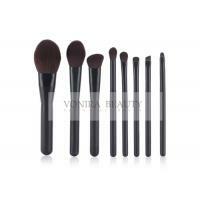 High quality pro makeup brush set. 2. 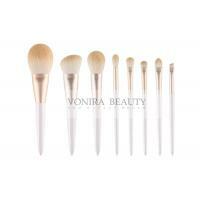 Vegan & Cruelty Free Bio-Tech synthetic hair brushes. 3. Eco-friendly painting wooden handle. 4. A beautiful makeup brush bag. 5. Perfect for traveling and storage. 6. 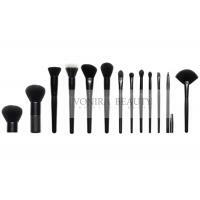 100% brand new and high quality professional makeup brushes set kit. 7. 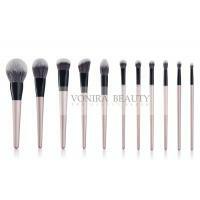 Total 13 pieces brushes for facial makeup: Vegan Kabuki Brush,Stippling Brush,Powder Brush,Eyeshadow Brush,Crease Brush,Lip Brush etc. 8. Adopts high quality vegan & cruelty free fine softness feeling function which provides superb ability to hold powerder, soft and pleasing for your skin. 9. Gorgeous soft PU leather bag holder, easy to collect and carry brushes. 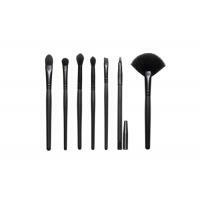 10.An essential for not only professionals basic makeup but also DIY users lovers. 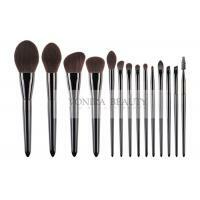 11.A professional quality brush set which includes all the basics you need for daily applications. Your business is our business, we'll try our 100% to help you make money. 1.Competitive price, Offer EXW price,FOB price and CIF price,or according to client's requirements. 2.Exquisite quality , OEM/ODM accept . 1, Are u a manufacturer? 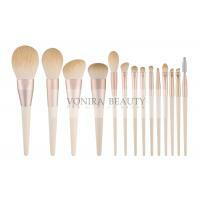 We are makeup accessories manufacturer and has been producing and exporting makeup brushes for over 25 years. 2, What kind of bristle do you have? 3, Which kind of ferrule do you have? 4, What kind of handle do you have? 5, What kind of packing do you have? Normally we packed each of the brushes with OPP bags, and all the face brushes covered by protective sleeve. Furthermore, every sets inserted into OPP bags. We can do OEM packing as well like PVC box, cardboard case with artwork designed by clients. 6, How about sample policy? Sample could be provided based on our stock availability. If available, we can provide sample free, but shipping cost should be paid by clients. If not available, sample would be charged but refunded upon order confirmation. 7, How soon we can get the samples? It takes around 10~15 working days to customize samples. The samples can be sent within 3 business days if they are in stock. 8, What's the Minimum order quantity (MOQ)? Regarding individual brushes, the MOQ is 1000 PCS. 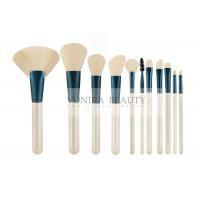 Regarding travel brush kits, the MOQ is 1000 sets. Regarding professional brush sets, the MOQ is 500 sets. 9, What's the lead time for mass production? Usually the lead time is 30~45 working days for OEM order. 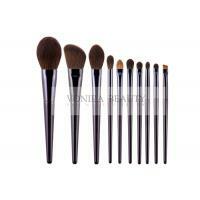 The brushes in stock can be shipped within 3 business days. To get the best results and extend the life of your loving brushes, it is recommended to clean them as needed following the below steps. 1.WASH - Wet brush head with warm water and work a small amount of cleanser into bristles. Use the Brush Cleaning Glove to thoroughly wash brush until fully clean. Rinse brush and squeeze out any excess water. 2.SHAPE - Place your clean, damp brushes into the Dry'n Shape using the smallest band the brush will fit into, making sure that all bristles are firmly compressed. 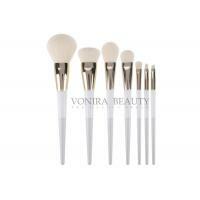 3.DRY - After 4 to 6 hours, your brushes will be completely dry and reshaped to their original form - guaranteed!